Is it an understated study in minimalism and proportion, or an overly-timid effort by a design house whose visual currency is Italian passion? 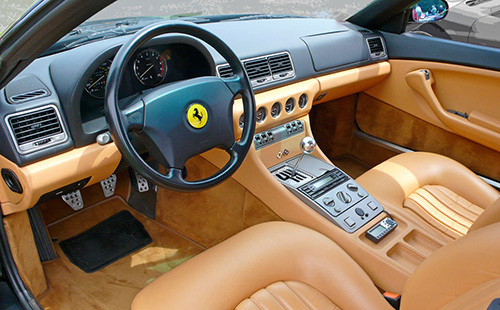 The Ferrari 456, produced from 1992-1997, and from 1998 to 2003 in upgraded 456M guise, was the automaker’s top-of-the-line grand tourer, designed to convey two occupants (and their small children in the occasional rear seats) across continents in peerless style at breathtaking speed. 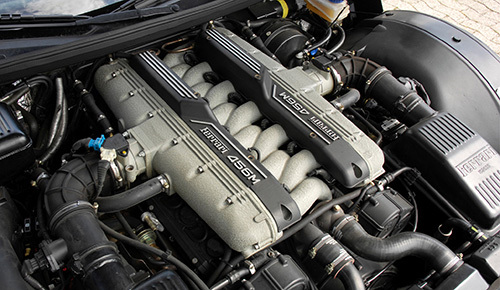 Capable of cruising effortlessly for hours at triple-digit speeds, Ferrari equipped the 456 with its most powerful non-supercar mill, a 5.5l, 442-hp V12, and the car could be specified with either a 6-speed gated manual or a 4-speed automatic. The cabin is supremely comfortable and the chassis brilliantly capable, especially considering the car’s two-ton curb weight. All that said, is it exciting enough to warrant a place alongside Ferrari’s greatest? There’s little dispute the car the 456 replaced in the automaker’s lineup, the unlamented yet underrated 412, is generally considered a sub-par effort, so the 456 arrived unburdened by the expectations inherent in following a truly outstanding Ferrari. Also, the market niche the 456 occupies is slightly different than that targeted by Ferrari’s bread-and-butter models like the contemporary F355, with a prospective buyer a bit more reserved, perhaps less interested in a hair-raising joyride than drivers of the smaller Ferraris. Still, the idea of a Ferrari means something to enthusiast community, and given the strength of the brand, to the wider public as well: Speed, passion, excitement and a touch of flamboyance. Does the 456 live up to that preconception? I think it does, but it takes patience to extract those qualities from its shape and demeanor. The dramatic side cuts on the flanks of the car, for instance, and the way the character lines on its flanks change from concave to convex as they move back toward the rear—these elements admirably bridge the design gap between Ferrari’s outré ’80s and more restrained ’90s visual vocabulary. I love the way the 456’s proportions are allowed to come to the fore, accented with touches like the fender-top vents (sadly eliminated for the 456M) and the very obviously staggered 5-spoke wheels. 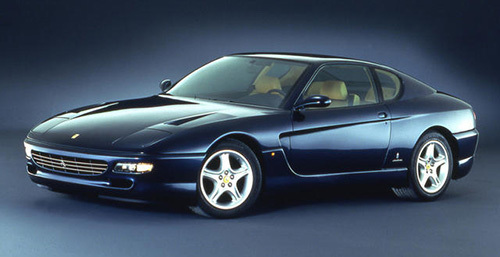 Above all, the 456 looks timeless and tailored, like an Armani suit, a shape with far more longevity than either the 412 that preceded it or its successor, the truly awful 612 Scaglietti. Would it look out of place in Ferrari’s current lineup? Perhaps—but the 456’s owners can rest easy knowing they have the pleasure of driving one of Ferrari’s truly classic shapes. And given my penchant for big GTs, I’d be lying if I said I wasn’t more than a bit jealous.